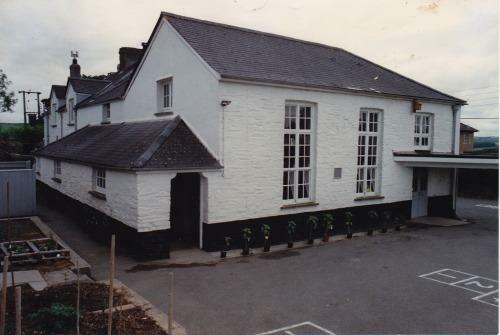 The school is situated about two miles from the local market town of Launceston. Although it is a small village school, there are plenty of ideas coming from the governors, staff, parents and children! Werrington School was originally opened on October 2nd 1848. It was owned by the Duke of Northumberland but only boys were admitted. They paid a penny to sixpence a week for their education. 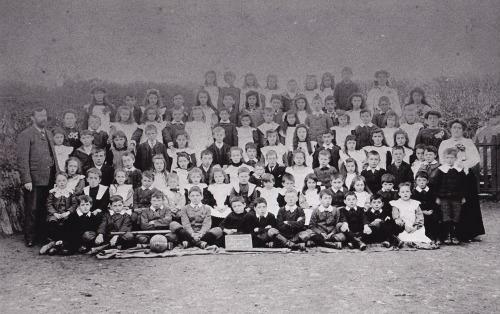 In the first year there were thirty four pupils on the register. By 1873 the building had been enlarged and two schools were operating, one for boys and one for girls. The cost of running the schools was met by subscriptions from the local landowners and occupiers. In 1876 the two schools were merged and became a board school with a headmistress in charge. In the early part of this century the number on roll, at times, exceeded one hundred. 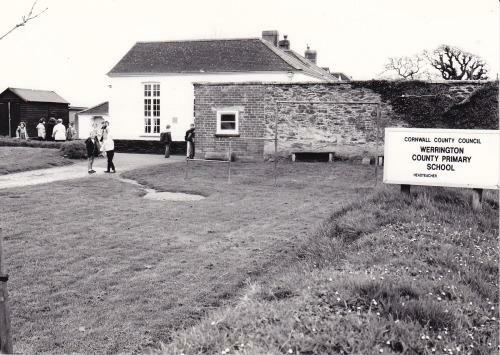 In 1968, due to boundary changes, the school came under the Cornwall County Council Authority. (Now Cornwall Council). After a lifetime with outside toilets a new extension in 1993 meant extra space and indoor toilet facilities. Since then a new infant classroom was added and in 2003, a new school hall, ICT suite, library and a new junior classroom were provided. At present the school has three classrooms, a library and hall where the Ladybirds Nursery is situated. Outside we have a playground, wildlife pond, garden and outdoor learning areas. For a closer look at our school please visit the School Tour page. Werrington Community Primary School has doubled in size over the years and continues to provide a great deal of opportunities for the children who attend.